We all have our own style when it comes to decorating for Christmas. Some of us love silver and gold while others are traditionalists and stick to a red and green theme. To be honest, there is no right or wrong when it comes to choosing a color scheme when it comes to your own holiday decor. If you love it, it works. Decorating with pink for Christmas is no exception. 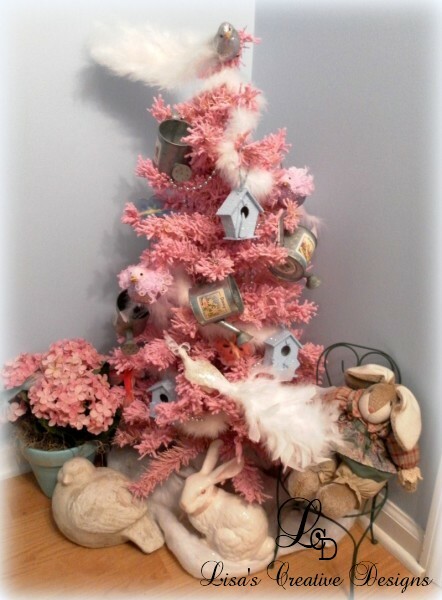 Today I would like to give you a little inspiration for having your own Pink Christmas. I love this bright pink Christmas tree from Wayfair.com. What a statement it would make in a room. I think my husband would pack his bags if I came home and replaced our 6′ traditional green Christmas tree with a bright pink one. My own Christmas color scheme consists of a lot of silver, red and turquoise but I have managed to sneak in a little pink in recent years. Personally I love a pink Christmas tree and every year I set up this cute little flocked tree in my Garden themed guest bathroom. 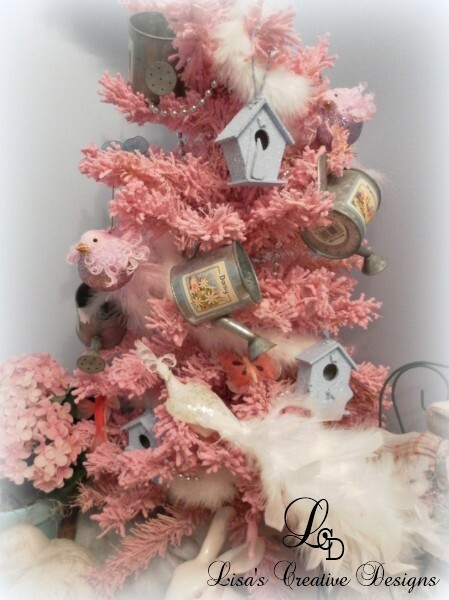 To blend in with the garden theme of the room I have adorned this little tree with birds, watering cans, birdhouses, along with a few other embellishments. I love it! 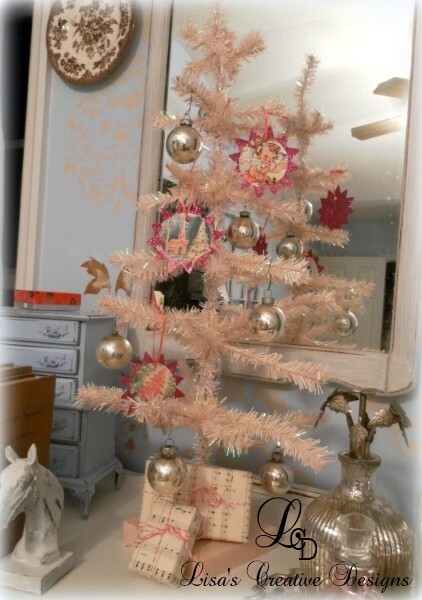 Last year I found this sweet tabletop petal pink Christmas tree at Hobby Lobby and was quite smitten with it. 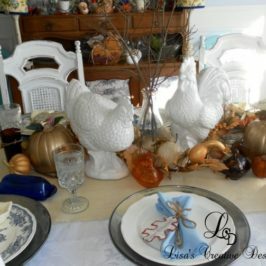 I placed it in my master bedroom atop an antique dresser decked out with a few vintage and handmade ornaments. I love this Pink Christmas Tablescape shared by Courtney over at The French Country Cottage. I love the pink and white rose centerpiece.  You would normally visualize Poinsettias when you think of Christmas flora. It is a lovely touch of the unexpected. If you are a huge pink fan then this living room will knock your socks off! The Christmas tree and wreath blend in beautifully with the soft pink palette and romantic touches of this Shabby Chic inspired living room. 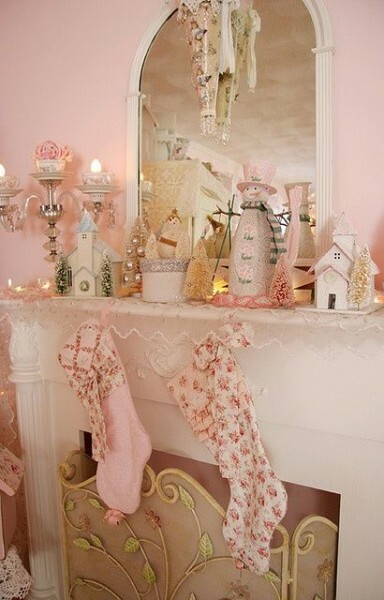 Pinterest is chock full inspiration if you want to create a Pink Christmas theme in your home. This pink inspired mantel is heavenly. 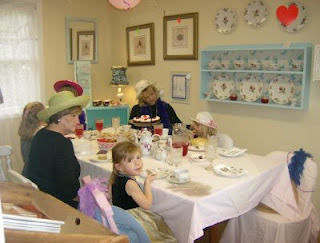 I love the upcycled candelabra in the corner featuring the teacups! You don’t have to go all out and start painting your walls petal pink or investing in an expensive seven foot pink Christmas tree to enjoy pink during the holidays. 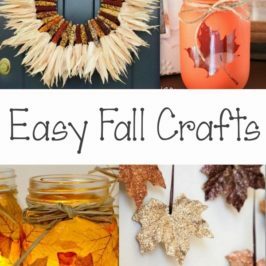 Adding a few pink accessories to your holiday decor can do the trick. I went a little pink crazy this year when designing products for my shop. 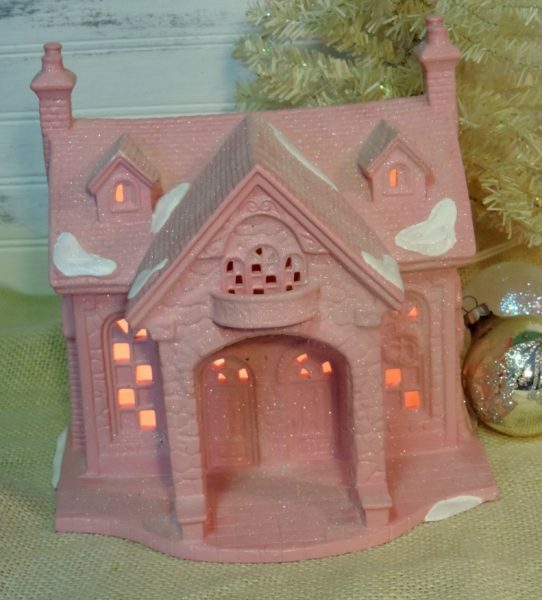 I painted this pretty ceramic Christmas Cottage petal pink and added glitter to it for a romantic look and feel. This set of ceramic Joy Christmas Candle Holders started out as a basic white and was very uninspiring. I love it in it’s new pink glory. 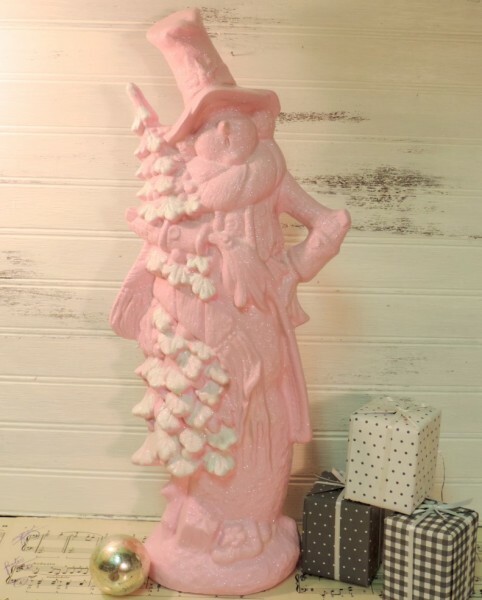 This pink glittered Shabby Chic Snowman is a one of a kind creation…. 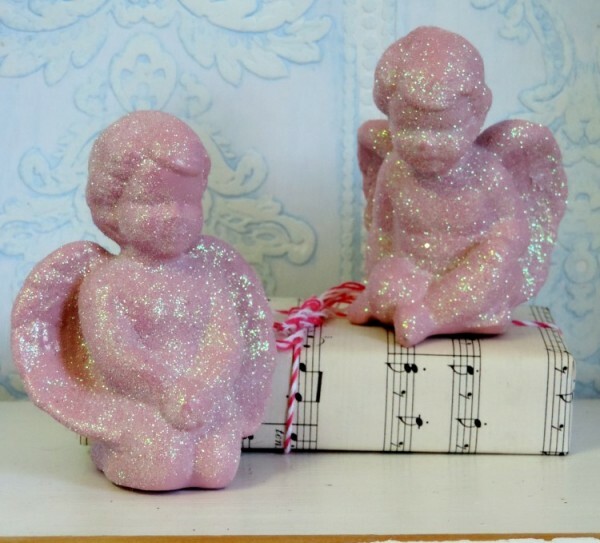 These sweet pink glittered angels would be a perfect accent for a pink inspired Christmas. Although “Shabby Chic or Victorian Style” may come to mind when you think of using pink at Christmas, it can also be incorporated into a beach inspired holiday theme. 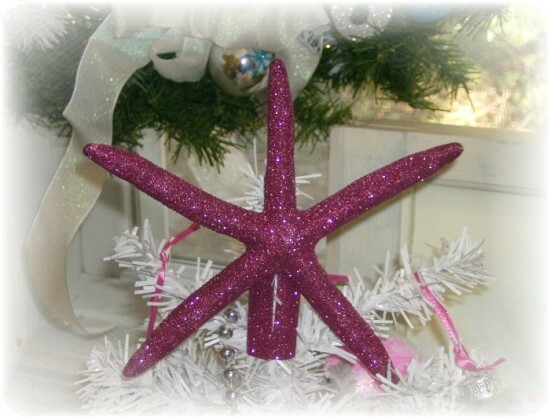 Just go a little bolder like with this Hot Pink Starfish Christmas Tree Topper. 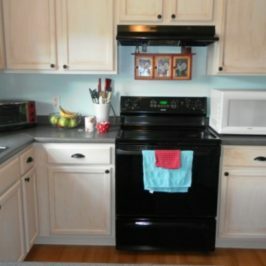 Pink works well with many color combinations. 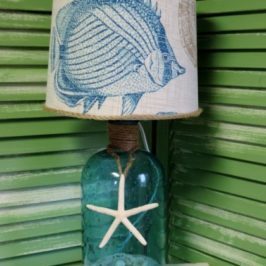 It looks great with turquoise or lime green which is perfect for a beach theme. 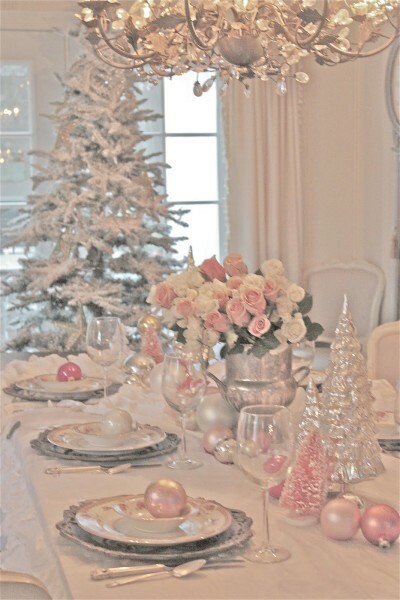 Pink can also blended nicely with traditional silver and white holiday decor. 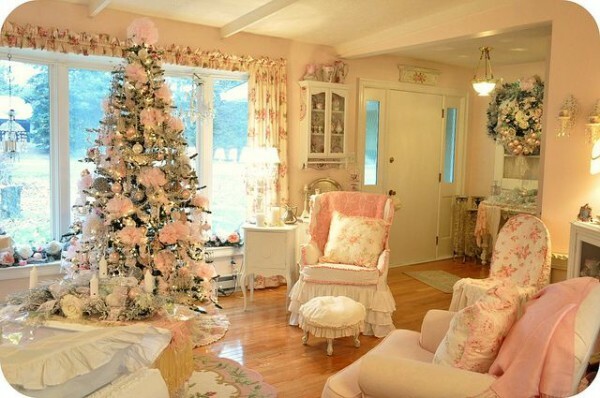 If you are looking to add a little femininity and romance to your holiday decor think about adding a touch of pink! You can shop for your own pink Christmas decorations now.